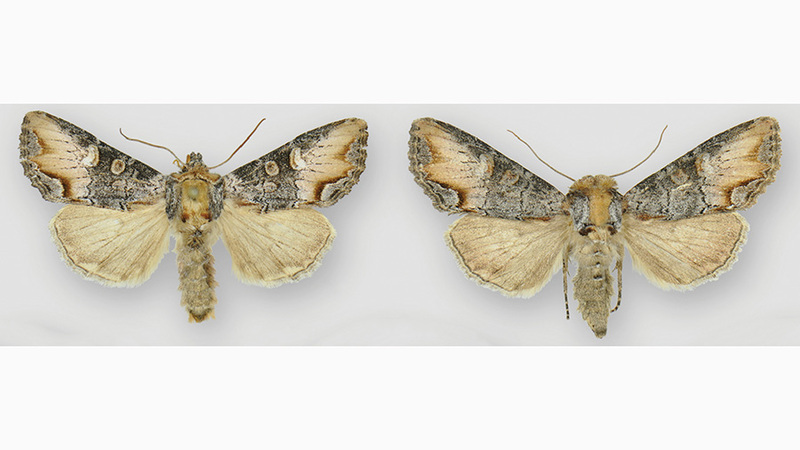 Newly-recognized species of owlet moth recently discovered to inhabit high-elevation mountains in western North America was named after the Greek mythological character Icarus. From now on, scientists will be referring to the new insect as Admetovis icarus. In their paper, Dr Lars Crabo, Washington State University, USA, and Dr Christian Schmidt, Agriculture and Agri-Food Canada, explain that the combination of the distinct flame-shaped mark on the moth’s forewing and its high-elevation habitat were quick to remind them of Icarus, who is said to have died after flying so close to the sun that his wings made of wax and feathers caught fire. The study is part of the seventh volume of the “Contributions to the systematics of New World macro-moths” series, where all previous volumes have also been published as special issues in ZooKeys. “Finding undiscovered moths is not that unusual, even though scientists have been naming insects since the eighteenth century,” says lead author Dr Lars Crabo.